GODOLPHIN, Sidney I (1645-1712), of Whitehall. bap. 15 June 1645, 3rd s. of (Sir) Francis Godolphin, and bro. of Charles Godolphin and Sir William Godolphin, 1st Bt.. educ. travelled abroad (Italy) 1664. m. 15 May 1675, Margaret (d. 9 Sept. 1678), da. and coh. of Thomas Blagge of Horningsheath, Suff., maid of honour to Queen Catherine of Braganza, 1s. cr. Baron Godolphin of Rialton 24 Sept. 1684; KG 6 July 1704; Earl of Godolphin 26 Dec. 1706; suc. bro. 1710. Cornet, Prince Rupert’s Horse 1667. Godolphin was returned for St. Mawes at the first general election of 1679, probably on the Vyvyan interest, and marked ‘vile’ on Shaftesbury’s list. His only committee in the first Exclusion Parliament was to inquire into abuses in the postal system, and he was absent from the division on the bill. 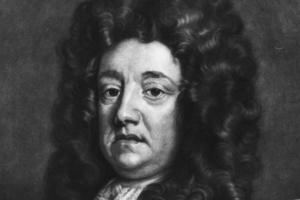 Nevertheless, with Hyde and Sunderland, he represented such government as was possible after the fall of Danby. They were referred to scornfully as the ‘Chits’; but Godolphin now embarked at the Treasury on a third career which spanned over 30 years with only brief intervals. He had a clear apprehension and despatched business with great method, and with so much temper that he had no personal enemies; but his silence begot a jealousy which has hung long upon him. ... His incorrupt and sincere way of managing the concerns of the Treasury created in all people a very high esteem for him. 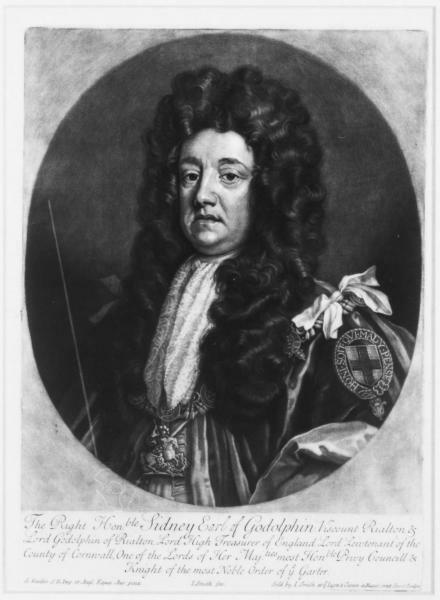 This biography is based upon Sir Tresham Lever, Godolphin: His Life and Times, except where otherwise indicated. 1. Cal. Treas. Bks. i. 719, 720; iii. 801; v. 1160; CSP Dom. 1668-9, p. 60; 1670, p. 263. 2. R. East, Portsmouth Recs. 359; CSP Dom. 1685, p. 66; Cal. Treas. Bks. viii. 1965; xvi. 342. 3. Burnet, ii. 250-1; J. P. Kenyon, Sunderland, 7, 11; Add. 28052, ff. 32, 42, 72; CSP Dom. 1688-9, p. 412; 1670, pp. 204, 214, 433; 1671-2, p. 291; Bulstrode Pprs. 228. 4. HMC 14th Rep. IX, 377; CJ, ix. 328; CSP Dom. 1677-8, pp. 640, 659; 1678, pp. 18, 242, 302. 5. HMC Ormonde, n.s. v. 281, 496; Burnet, ii. 250; Temple Mems. ed. Courtenay, ii. 69; Sidney Diary, ii. 210; HMC Dartmouth, i. 58. 6. Foxcroft, Halifax, ii. 205; H. Roseveare, Treasury: Evolution of a British Inst., 76, 95.